Seek Shelter: Stories to Soothe Your Spirit During Natural Disasters is Daphne’s fifth book. You will encounter at least one natural disaster in your lifetime—directly or indirectly. Your natural reaction will be to seek shelter. And yet, the very thing you seek can feel most elusive. How do you cope in the wake of natural devastation? How can you recover? Will life ever be the same? Can any good ever come from something so bad? 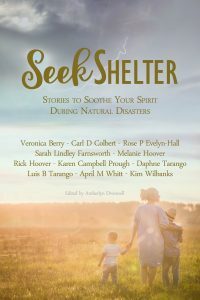 Seek Shelter is a collection of inspirational stories by authors who have uncovered the good in the rubble of natural disasters. Hurricanes. Blizzard conditions. Wildfires. Tornadoes. From the most violent side of nature can sprout rest, comfort, and peace. Some of the writers in Seek Shelter have had to seek physical shelter from natural disasters while others have not. But all have sought shelter from life’s storms in the warmth of family and friends—even strangers—and most of all, God. Seeking shelter? Stay with us a while. If you would like to order a copy of Seek Shelter, you can do so via PayPal. 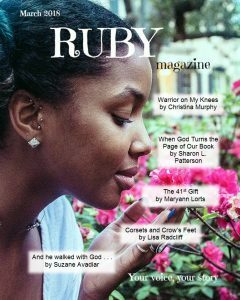 When you order via PayPal, you will get a personal note from me in your book.